As we get ready to celebrate Earth Day, we are excited to offer you the most environmentally friendly spas on the market – Hot Spring Spas! 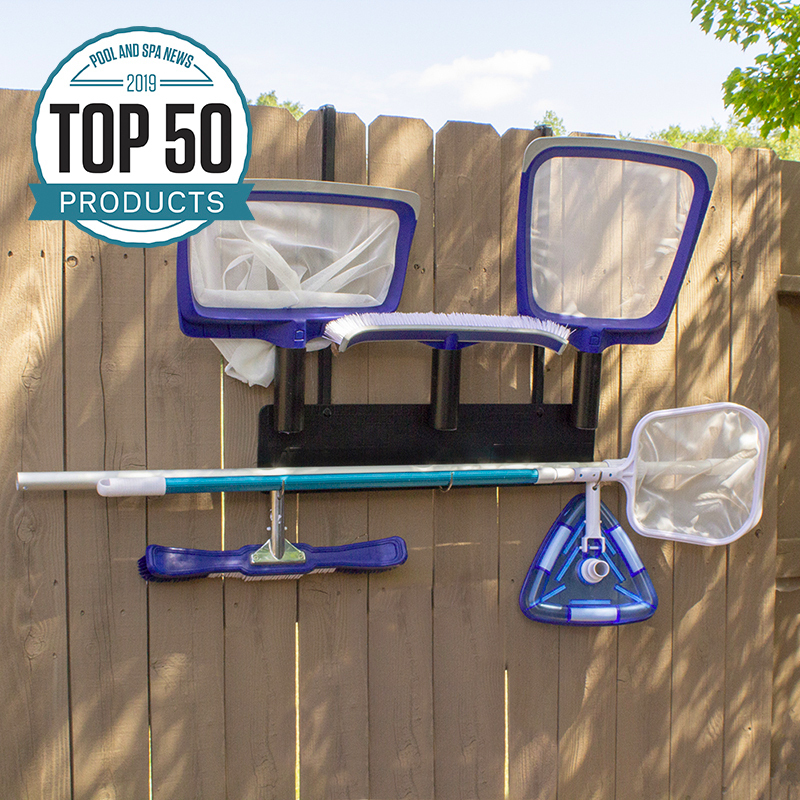 Keeping your pool tools neat and tidy and off the ground is easy with this all new Pool Tool Organizer. Made from weather-resistant polypropylene material, once assembled, the organizer holds up to 90 pounds of pool gear. Think rakes, skimmers, brushes, poles, vacuum heads and more. Load it up and know that all your gear is at the ready when you need it. Assembles in minutes, the Pool Tool Organizer can be mounted directly to any hard surface. Or, assemble with the two brackets and hang over any fence up to 1.3″ wide. Ready, set, get organized!